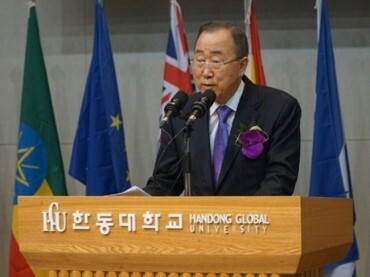 SEOUL, June 7 (Korea Bizwire) – The government said Wednesday that it will set up overseas institutes that offer foreigners Korean language courses and Korean culture activities at six universities in six additional countries. The six universities, designated as the new operators of the King Sejong Institute, are Yancheng Teachers University in China’s Jiangsu Province, Astrakhan State University in Russia, Indiana University in the U.S. state of Indiana, the University of Barcelona in Spain, National University in Indonesia and the Royal University of Phnom Penh in Cambodia, the Ministry of Culture, Sports and Tourism said. The six universities, chosen among 51 higher education centers in 27 countries, are to incorporate their existing courses in the Korean language to the King Sejong Institute. Named after the Joseon Dynasty (1392-1910) king who invented the Korean alphabet “hangeul,” the institutes offer language education programs teaching Korean as a second language. Currently, there are 171 such institutes in 54 countries where a total of 49,549 students are learning the Korean language. Song Hyang-keun, chief of the Seoul-based King Sejong Institute Foundation, said that the foundation will make efforts to help the operators of the institute enhance their Korean language education so that they can serve as evangelists of South Korea.